COLUMBUS, OHIO (March 27, 2018) – NatCon18 is more than a Behavioral Health summit. It is a meeting place for advocates who want to be heard on Capitol Hill. Scriptel Corporation is joining the Nat'l. 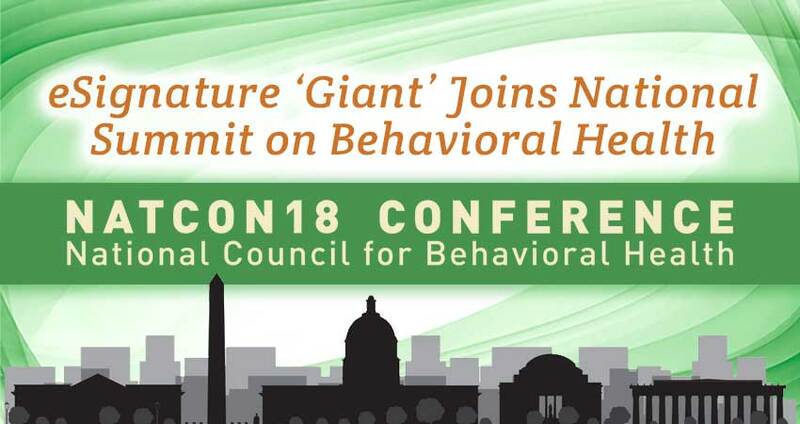 Council for Behavioral Health for its 2018 summit April 23-25, 2018, just outside of D.C. Scriptel supports a goal of helping those who work in Behavioral Health "Be Heard," as they voice the collective concerns of the millions of Americans currently living with mental illness and/or struggling with addiction. "We serve a number of Behavioral Health customers," explains Steve Sedaker, Dir. of Strategic Marketing for Scriptel. "In recent years, there's been a decided shift in the national conversation—with a goal of meeting everyone's healthcare needs equally." "Mental health and addiction concerns are top of mind. We're doing our part to help people gain access to much-needed care quickly and easily. The voices of patients, clinicians, administrators, and executives all factor in … and we're listening." Half- & Full-Day Preparatory "Universities"
NatCon has been recognized as a premier conference on Behavioral Health and is a platform designed to "energize, inspire, and accelerate" information sharing among key players in the clinical care, practice management, and health IT products sectors. Scriptel electronic signature solutions streamline the patient registration process, simplify electronic health records (EHR) management, and encourage best practices via application of cutting-edge paperless technology in diverse, dynamic clinical settings. Scriptel's no-scratch, glass surface signature capture pads include the ScripTouch Slimline and Desktop LCDs, as well as ScripTouch Compact LCD electronic signature pads. Companion products like ScripTouch Sign and Save handwriting recognition software and the new mSign v2.0 digitizing app expand those hardware capabilities. "Don't be shy," urges Randa Gallagher, Customer Relations & ISV Manager. "Request a demonstration. This end-user driven event serves everyone from Behavioral Health care and addiction treatment providers to physicians and insurers. That's exciting, for me, because I enjoy showing others how well our products work." "I can sense their relief, as they realize all we offer them (and their consumers)—rather than think they're limited to one option or end result. See for yourself why Scriptel is an eSignature technology giant. There's no 'one size fits all' here. We offer modern-interface solutions at a range of price points, starting below the competition." Roughly 5,000 attendees are expected at NatCon18; industry leaders looking to thrive, by putting health care innovations to the test and improving their practices' bottom lines. "If you're concerned about integration," suggests Gallagher, "ask me. Our existing APIs work well with a wide range of Behavioral Health applications. If you're doing a refresh at a clinic, give Scriptel the chance to get you up and running in no time. In return? You'll get a free trial, service like no other, and knowledgeable support." The NCBH encourages "Be Heard" attendees and exhibitors to be active, counted, supported, and informed innovators of whole-person wellness. Sedaker and Gallagher will be there, sharing Scriptel's perspectives on the future of patient care, digital workflow, Health Information Management (HIM), and more. NatCon18 runs Mon., April 23, through Wed., April 25, at Gaylord Nat'l. Resort & Convention Center at 201 Waterfront St., in National Harbor, MD (20745). Details and registration are available at NatCon18.TheNationalCouncil.org. Get a hint of what Scriptel has to offer. Begin with a Free Trial at Scriptel.com. Or call the company's Sales Team, at (877) 848-6824, for more information.